At Good Dog! Coaching & Pet Care your satisfaction is our top priority. We know you expect the best in regards to care, dependability & service for you and your pet. We agree with you and promise to deliver. Your satisfaction is guaranteed or we will make it right. Welcome to Good Dog! Coaching & Pet Care where your pets health and happiness are our first priority. We know your pet is a member of your family and that his or her happiness is about much more than food and water – it’s about love, companionship and understanding the personality and temperament of every pet we meet. We look forward to making your pet part of the Good Dog! family so that you can rest easy, knowing that the pets you love are getting the affection and care they deserve even when you can’t be there. It is very important that Good Dog! Coaching & Pet Care clients are informed. Please read our policies very carefully and always feel free to ask any questions. Get acquainted with you and your pets, the surroundings and to evaluate your pet’s behavior and schedule. Go over necessary client and pet information completed through our portal and proof of vaccinations. Test keys, lock box and do a run through of any security system. Record any additional detailed information about caring for your pets and your home, if necessary. These meetings usually last one hour, and help build a relationship with our clients and their pets. All new clients will need to create and complete (via Good Dog! Coaching & Pet Care’s online web portal) a personal and pet information account before the Free Meet & Greet Home Consultation or scheduled services can begin. Reservations: We ask that you make all reservations as early as possible. We can only service a limited number of pets as quality is our focus, not quantity. For major holidays, requests must be made AT LEAST 2 weeks in advance. Otherwise, we cannot guarantee availability. We recommend making your reservation for non holiday care at least 7 days in advance, but we are flexible. You can do so via our client portal. All new customers will have an in home Meet & Greet visit where we will spend some time getting acquainted with you and your pet. We’ll make sure they are comfortable with us, and you can tell us the specifics of your pet’s routine. You can show us around your home, let us know about any “quirks” and pertinent security issues. Last minute requests or Emergency reservations: We will do everything in our power to accommodate your pet(s) in the event of a last minute request for service. Reservations will need to be completed for each series of visits via our client portal. Last minute/emergency requests includes services requested 72 hours or less from the requested service start DATE (not time). Clients will incur an additional $30.00 (flat rate per request, NOT per individual visit) for requests made within that time frame due to schedule adjustments. Holiday service: There is an additional charge of $10 per visit (vacation visits or dog walking visits) or $10 per pet (private boarding) for service rendered on major holidays. Major holidays are New Year’s Eve & Day, Easter Sunday, Memorial Day, July 4, Labor Day, Thanksgiving Day, and Christmas Eve & Day. Please make us aware of any changes in your home or pets care at time of reservations. You can update or make changes to yours or your pet’s information on our portal any time you like. Keys: Two working copies of your house keys must be provided before start of service. If you live in a gated community, you must also provide a gate card, remote control or appropriate access codes. At Good Dog! Coaching & Pet Care we have a “Client Owned Lock Box System” whereby the client maintains control of their keys at all times via a Realtor style lock box which is kept at the client’s property. This allows seamless care of your pets by your pet sitter whether for regular service or should you have an emergency or last minute request that you need to call on us for, as well as coming in handy should you, the client accidentally lock yourself out (you can purchase a lock box at your local big box hardware store as well as online). Please have a key lock box and 2 keys (or sets of keys) ready for us at the meet & greet home visit. The keys and key lock box will remain outside at your home at all times for your sitter to use when caring for your pets. We recommend you keep it outside at all times as this allows for entry by your pet sitter should you have an emergency that you need to call on us for. You can discuss with your sitter the location of the lock box at the home visit. Should keys become unusable, lock or lock box malfunctions, client fails to leave the lock box outside or for any other reasons beyond the control of Good Dog! Coaching & Pet Care provider, client authorizes Good Dog! Coaching & Pet Care to employ the services of a locksmith to gain entry into client’s home to care for the pets on client’s behalf. Client will be responsible for all expenses incurred and reimburse Good Dog! Coaching & Pet Care upon their return. Payment: Payment must be received by our office 3 days prior to your service start date so as not to incur a late fee of $20. When paying by check please include the dates of service on the check. We accept several forms of payment, including: checks, and credit cards. Credit card payments may be made for an additional convenience fee. Checks should be made out to Good Dog! Coaching & Pet Care. $38 plus bank fees will be added for any returned check. Payment for Holiday bookings: A 50% deposit must be received at our office 14 days prior to your service start date (to hold your reservation) with the balance due 3 days prior to your service start date. Tipping: If you wish to tip your pet care provider, please write a separate check in the pet care provider’s name or leave cash for your pet care provider. Client Return: Client agrees to notify Good Dog! Coaching & Pet Care when you have returned home. If you do not call or text we will make additional visits and you will be charged for those visits. We must know that your pets are being cared for and no additional visits are required. Early Returns: We understand your plans may change but please understand that on any given day each sitter has a limited amount of clients they can serve and they have likely turned away other clients because they reserved time for you and your pets. We limit the number of daily visits each sitter has in order to deliver the level of care your pet deserves. Therefore if you cancel visits due to early return seven days or less before your scheduled return date there is no refund credit for those scheduled visits. Delayed Returns: Client agrees to notify Good Dog! Coaching & Pet Care in the event the Client is delayed in returning home. Client further agrees to pay Good Dog! Coaching & Pet Care for any additional visits required (plus last minute reservation fee if applicable) until client returns home. Non Holiday Cancellations: We understand your plans change and we do not charge for cancellations with adequate notice. A minimum 3 day advance notice is required for cancellations in order to receive a full refund credit. However, if you cancel less than 3 days prior to the service start date (start date is the 1st day of the entire reservation) there is no refund credit. Refund Credits expires 3 months from the date issued. No cash refunds will be made. Holiday Cancellations: Please understand that pet sitting services receive more requests for reservations than they can handle during holiday time periods and we may have turned away other clients because we have reserved time for you during a busy season. A minimum 7 day advance notice prior to the service start date (start date is the 1st day of the entire reservation) of visits that include a major holiday is required in order to receive a full refund credit. If it’s been less than 7 days, but more than 3 days prior to the service start date (start date is the 1st day of the entire reservation) of visits that include a major holiday, you will receive a 50% refund credit. 3 days or less, prior to the service start date (start date is the 1st day of the entire reservation) and no refund credit is issued. Major holidays are New Year’s Eve & Day, Easter Sunday, Memorial Day, July 4, Labor Day, Thanksgiving Day, and Christmas Eve & Day. Refund Credits expires 3 months from the date issued. No cash refunds will be made. Daily/Weekly/Monthly Dog Walking/Exercising Client Cancellations: Good Dog! Coaching & Pet Care’s Dog Walking Service has a 24- hour cancellation policy. If you are a client that receives ongoing services on a daily, weekly or monthly basis a 24-hour advance notice is required for cancellations on all days other than holidays (as listed elsewhere in our policies) in order to receive a full credit towards future services. Any cancellation made less than 24 hours will not be credited or refunded. For visits that fall within a holiday week a 72 hour notice is required for a credit toward future services to be issued. Dog Walking Clients: It is our goal to maintain control of dogs in our care at all times. We will do our best not to allow our client’s dog(s) to come in contact with other dogs or people while in our care. This is for the safety of all involved. However we cannot predict the behavior of a client’s dog or off leash neighborhood dogs trying to approach us or the client’s dog while out walking. We maintain client dogs on a short, loose slip style leash so that we have optimal control. That being said Good Dog! Coaching & Pet Care does not accept responsibility or liability for animal behavior, normal or otherwise, which results in injury to the client’s animals or property. Further, if a Good Dog! Coaching & Pet Care Pet care provider is harmed or injured by the client’s animals, the client/owner accepts full responsibility for the cost of any necessary medical attention required by either the Good Dog! Coaching & Pet Care provider or by the animals. Inclement Weather/Emergencies: Primarily severe storms, snow/ice, flood, conditions or medical reasons etc. Be prepared to have a plan written out and accessible to Good Dog! Pet Care in the event of ANY emergency. You will entrust Good Dog! Coaching & Pet Care to use best judgment in caring for your pets(s) and home if we are servicing you at the time of inclement weather. Good Dog! Coaching & Pet Care will try to carry out your instructions to the best of our ability. The care we provide to our customer’s pets and their safety is our first concern. Customer selection of a nearby emergency contact has been requested. Animal Emergency: I authorize Good Dog! Coaching & Pet Care to transport my pet(s) to a veterinarian in the event of their illness or injury and authorize treatment deemed necessary by the veterinarian. In the event the pet is in need of hospitalization; Good Dog! Coaching & Pet Care is authorized to leave the pet until the pet can be transported home. If at-home medication is prescribed, Good Dog! Coaching & Pet Care has my permission to administer the directed dosage. A trip fee will be applied. Emergency Contact: Good Dog! Coaching & Pet Care will request the name and phone number of a person living nearby (with access to your home). This should be a person close enough to walk to your home if roads are impassable (for example, a neighbor). If we are physically unable to drive to your home this information is needed so that we can contact this person to request their assistance to check on your pet(s). Please remember that garage door openers are not operational in the event of power outages. In the event that the customer does not provide a nearby emergency contact with access to your home for Good Dog! Coaching & Pet Care, customer realizes that we will provide service but not until conditions allow us to reach your home safely. Unforeseen purchases: Any additional necessary costs such as food, litter, cleaning supplies or other necessary items that contribute to the health and well being of your pet will be purchased by Good Dog! Coaching & Pet Care if necessary. We will retain a receipt and the client agrees to reimburse Good Dog! Coaching & Pet Care for these items. A trip fee will be applied. Access to your home by others: If you allow any other person(s) access to your home during our contract period, we cannot be held liable for any damages to property or pets as a result. Please notify Good Dog! Coaching & Pet Care if someone will be in your home. Please also notify the person(s) in your home that we are coming so that your visitor is not surprised by us. Pet and house clean-up: Good Dog! Coaching & Pet Care will properly dispose of pet waste and do our best to clean up any known accidents your pet may have. We are not responsible for carpet/flooring stains or damage created by your pet(s). Animal Behavior: Animals behavior can be unpredictable. Good Dog! Coaching & Pet Care does not accept responsibility or liability for animal behavior, normal or otherwise, which results in injury to the client’s animals or property. Further, if a Good Dog! Coaching & Pet Care Pet care provider is harmed or injured by the client’s animals, the client/owner accepts full responsibility for the cost of any necessary medical attention required by either the Good Dog! Coaching & Pet Care provider or by the animals. Number of Visits: Good Dog! Coaching & Pet Care will visit at the requested times as closely as possible. However, if an unforeseen situation arises, the time may be adjusted by up to 2 hours. We require a minimum of 1 visit every 24 hours for cats but highly recommend 2 visits per day. For Dogs we require a minimum of 2 visits a day but highly recommend 3 visits per day. This is for the safety and health of your pets. Fences: Unfortunately, no fence system is totally secure for your pet’s safety. We do not accept responsibility or liability for any pets that escape, are injured, or become lost when pets are left out or given access to a fenced in area via a doggie door. This includes electronic, wood, metal or any other fence types. Off Leash Dogs: We do not allow any dogs to be off leash under our care unless they are in their secure fenced yard at home. Privacy: We will never sell or share any of your information with anyone. Ever. The security and safekeeping of your transactions and personal information is important to us. We hold ourselves to the highest standards and value the trust you have placed in us. Refusal of Service: Good Dog! Coaching & Pet Care reserves the right to refuse service to anyone. If there is even the slightest hint of animal abuse, whether harsh training, lack of food/water, limited and filthy space, etc we are obligated to report any cases of neglect. Medications/Vaccinations: Good Dog! Pet Care will attempt to administer medications as directed but cannot be held responsible for complications that arise as a result. Excessively shy cats with medical problems can be a serious risk. If you have such an animal, this must be thoroughly discussed. Under no circumstances will Good Dog! Coaching & Pet Care service any pet that has any form of contagious illness. This is for the safety of other customers. Good Dog! Coaching & Pet Care requires that all pets have the necessary vaccinations, immunizations or titers before service begins, with NO EXCEPTIONS. If a Good Dog! Coaching & Pet Care provider is bitten or exposed to any disease or ailment received from the client’s pet(s) which has not been properly or currently vaccinated, the client will be responsible for all costs and damages that may incur. Boarding can actually be a happy stress-free experience for your dog at Good Dog! Pet Care. Private Boarding in a home environment includes daily walks, supervised play times with other well socialized dogs, reinforcement of basic manners, low ratio 1:6 (at the most) human to canine, lots of snuggles and belly rubs and the feeling that they are on vacation too! After playing with their buddies all day, your dog will chow down on dinner and enjoy a restful evening with their Good Dog! Host Family. • Play times with plenty of fresh air fun! • Don’t forget that bedtime Scooby Snack! Check out: Check out is by 12 noon or day care rates will be added ($5o for first dog, $20 each additional dog from the same family). Holiday Boarding: There is an additional charge of $10 per pet for boarding on the following holidays: Easter, Memorial Day, 4th of July, Labor Day, Thanksgiving Day, Christmas Eve Day, Christmas Day, New Year’s Eve Day, New Year’s Day. 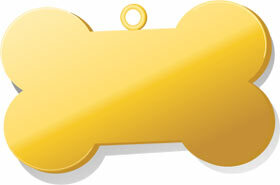 • All boarding dogs must be current and provide proof of the following vaccinations: DHLPP, Bordetella, and Rabies. • All boarding dogs must be 3 months of age or older. • All boarding dogs must be non-aggressive and well socialized. Payment for Holiday Boarding: A 50% deposit (non refundable) must be received at our office 14 days prior to your departure with the balance due 3 days prior to service. • Drop-off or pick-up must be within 30 minutes of the appointment time or a $10.00 per 15 minutes appointment fee will be charged. • Dogs that have reserved boarding (non-holiday) must give 72 hours cancellation notice or they will be charged for the boarding session. • Rates and hours are subject to change without prior notice. Please remember these policies are strongly enforced. We conduct our business to give you the complete peace of mind in whatever situation you may need our services. If you have a question or concern about any of our policies we would be happy to discuss them with you in detail. 1. Client authorizes Good Dog! Coaching & Pet Care to enter Client’s home to provide the services listed herein, and/or written on any invoice, or as requested by Client in any telephone conversation. Email, or text transmission. Said services to be performed in accordance with the Clients most recent Pet Profile, Client Profile, Home Profile, and/or other documents or notes, paper or electronic, on file with Good Dog! Coaching & Pet Care . 2. If the pet(s) become ill while under the care of Good Dog! Coaching & Pet Care , and medical care is needed in the best judgment of Good Dog! Coaching & Pet Care, Client authorizes Good Dog! Coaching & Pet Care to transport the pet(s) to Client’s veterinarian (or one who is available). Client authorizes Good Dog! Coaching & Pet Care to approve any emergency treatment recommended by said veterinarian when the cost of treatment is within the limits authorized in a Veterinarian Release Form. Client authorizes Good Dog! Coaching & Pet Care to take Clients pet(s) to an Emergency Clinic For Animals when the Clients veterinarian is not immediately available. Client further agrees to promptly reimburse Good Dog! Coaching & Pet Care for any expenses incurred for any medical treatment, emergency care & transportation. 3. Client releases Good Dog! Coaching & Pet Care from all liability related to transportation, treatment, or expenses, resulting from any emergency or special needs as determined by Good Dog! Coaching & Pet Care. 4. Good Dog! Coaching & Pet Care agrees to provide the services stated herein in a reliable and trustworthy manner. In consideration of these services, and as an express condition thereof, the Client expressly waives and relinquishes any and all claims against Good Dog! Coaching & Pet Care unless arising from deliberate negligence on the part of Good Dog! 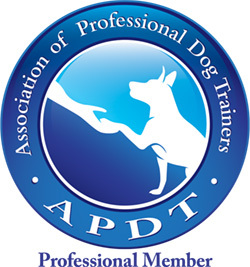 Coaching & Pet Care or their representative(s). 5. Client agrees to pay Good Dog! Coaching & Pet Care the total fee for services to be rendered at the in home meet & greet or payment must be received by our office 3 days prior to your departure so as not to incur a late fee of $20. A 72-hour advance notice is required for cancellations in order to receive a full refund credit, less any consultation fees and less a $50 cancellation fee. Refund Credits expires 3 months from the date issued. Fees for Holiday bookings- A 50% deposit must be received at our office 14 days prior to your departure with the balance due 3 days prior to departure. If you cancel seven days or less before a major holiday, you will be charged for half (50%) of the visits. Major holidays are New Year’s Eve & Day, Easter Sunday, Memorial Day, July 4, Labor Day, Thanksgiving Day, and Christmas Eve & Day. No cash refunds will be made. 6. Good Dog! Coaching & Pet Care is not liable for injury to, or loss of, any pets allowed, at the direction of the Client, access to a doggie door, or allowed outside the Client’s house off lead or unattended(outsidepets). 7. In the event of incompatibility, personal emergency, illness, injury, or unavailability on the part of Good Dog! Coaching & Pet Care, Client authorizes Good Dog! Coaching & Pet Care to arrange for another qualified individual to fulfill the responsibilities set forth in this contract, or to arrange for alternative care of Client’s pet(s). Client further agrees to promptly reimburse Good Dog! Coaching & Pet Care for additional costs incurred, if any, due to providing alternative care of Client’s pet(s). 8. The term Good Dog! Coaching & Pet Care as used herein refers to the officers, owners, principals, employees, and subcontractors of the company known as Good Dog! Coaching & Pet Care, LLC . 9. The term Client as used herein refers to you the owner of or legal guardian of the pet(s) in question. 10. The term of this contract shall commence on this date and terminate in 36 months. Upon Client’s request to provide services in the future via phone, email, or Good Dog! Coaching & Pet Care web portal, text, or in person, Client agrees that this contract shall be extended, in its entirety, without further written authorization. The term of said extension shall commence on the date services are requested and shall terminate 36 months after the last date on which services are performed. Rates, hours and policies are subject to change without prior notice. Client fully understands the contents of this contract and agrees to the terms and conditions herein. Client further agrees to pay any additional charges due when the services have been completed. In the event any part of this contract shall be determined to be invalid it shall have no bearing on any other part of this contract. Any exceptions to any part of this contract must be in writing and signed by all parties. By booking service with Good Dog! Coaching & Pet Care I agree/confirm that I have read, fully understand, and agree to the policies of Good Dog! Coaching & Pet Care.